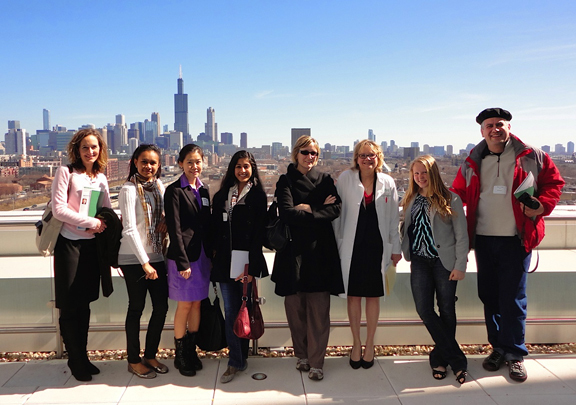 Fulbright students and alumni during the Rush Hospital architectural tour. Group 1 was led by Dr. Lynne Braun (third from right.) At the far left, board member Heidi Rockwell. 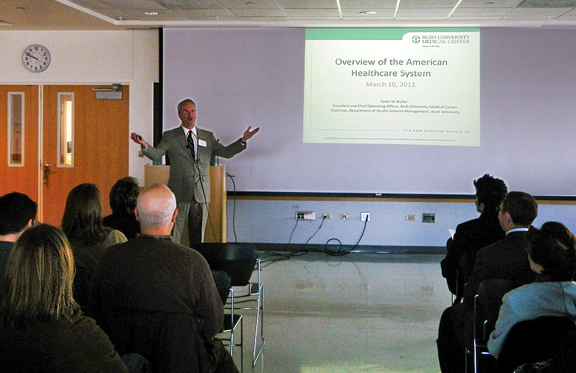 APPROXIMATELY 80 PEOPLE attended a presentation on the American Health Care System by Peter W. Butler, President and Chief Operating Officer of Rush University Medical Center, at the March 10th event of the Chicago chapter. 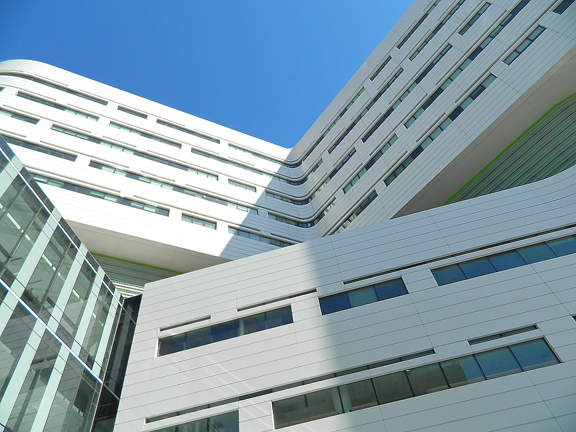 His talk carried even more meaning due to its setting—the new state of the art, fourteen-story Rush Tower, the latest addition to Rush Hospital’s campus. Mr. Butler opened his remarks with the statement that “We like health care in America,” and that was proven true by the statistics he showed that underscore the complexity of this issue in American society. 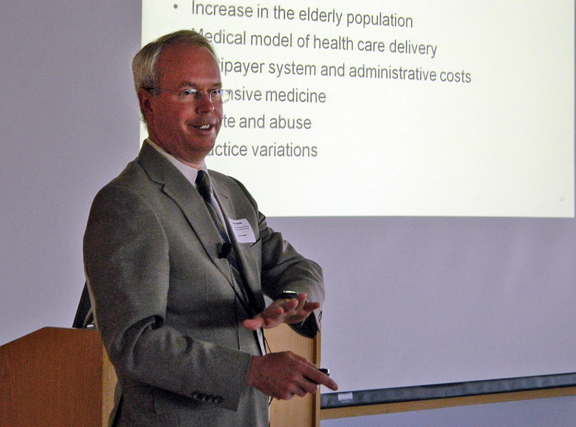 Topics covered by him were population trends, distribution of insurance coverage by state, the length of hospital stays, types of hospitals, an international comparison of spending on health care, and health care reform. A possible caveat for the Midwesterners in the audience is to stay healthy because the Northeast region of the U.S. has many more doctors than the Midwest! 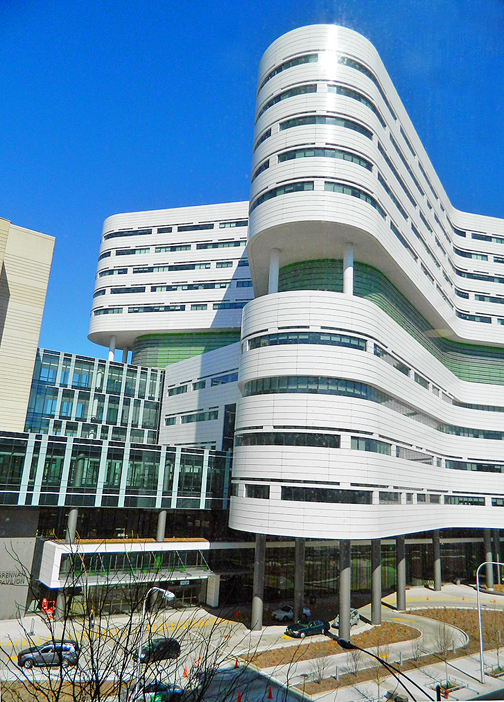 The Consul Generals posted in Chicago who were present were appreciative of a chance to hear about our health care system by a hospital administrator and to view such an architecturally stunning example of a recently completed hospital. Following the presentation, a Question and Answer session was held which allowed Mr. Butler an opportunity to further explain the many challenges that health care systems face in our country. 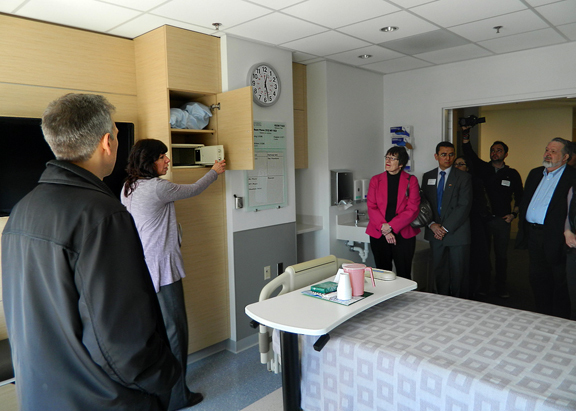 A tour of portions of the new tower ensued, led by staff members of the medical and nursing faculty—expert guides. 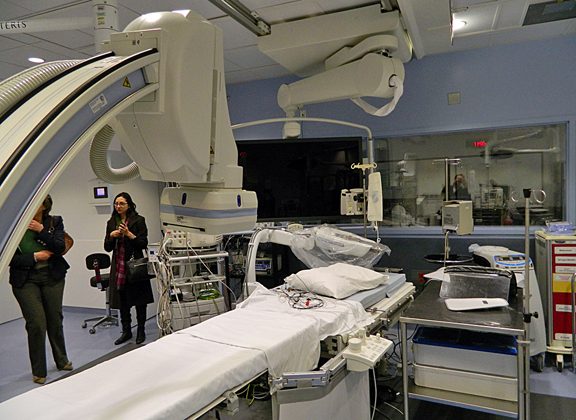 Tour goers were impressed by the attention to detail that was designed into the new facility with the outcome of an increase in quality patient care and comfort. Whether it was the unique butterfly-shaped floor wings, the high-tech touch in patient rooms, the play space for visiting children, or the indoor-outdoor atrium in the entrance pavilion, attendees felt that Rush care givers have hit the mark in their new structure’s layout and features. Not to be overlooked is the eastward view of Chicago from the hospital’s outdoor terraces—a special treat for patients, visitors, and staff. 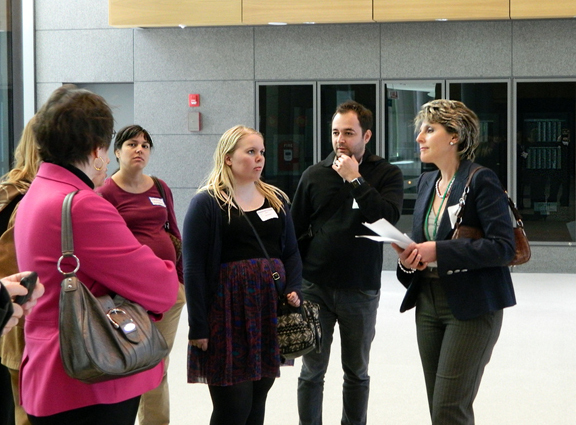 Dr. Susanna Chubinskaya (right) leading a group of Fulbright students and alumni during the architectural tour. Here, at the lobby of the new tower. And all this started with a tasty breakfast, with plenty of fruit, coffee, orange juice, bagels and an array of pastries. 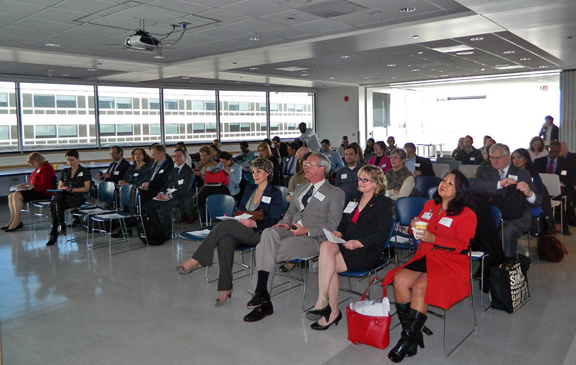 The event was carefully organized by a committee led by Dr. Linda Gruber, with the assistance of Bruni Hirsch and Jason Romano, all board members of the Chicago Chapter of the Fulbright Association, and with the extraordinary support of Dr. Lynne T. Braun and Janet Myers from Rush Hospital. A special operating room where physicians of different specialties can work together at the same time, while up to 15 students can observe the procedures. Fourteenth floor of the new Rush Hospital Tower. 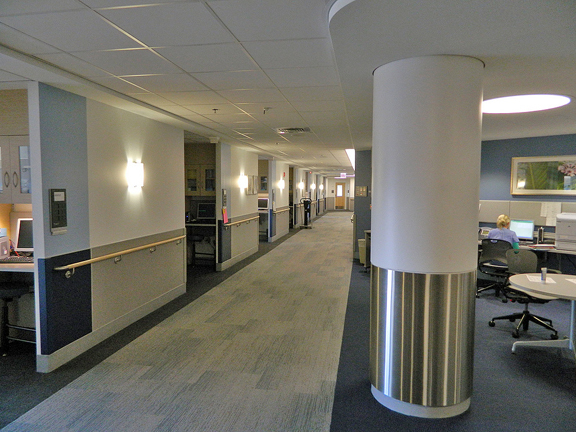 The design allows nurses to be very close to patients' rooms. Ample patient room features specially designed furniture for family members to spend the night, flat television, security box, enough storage room and a bathroom able to accommodate people in wheelchairs, among other features. 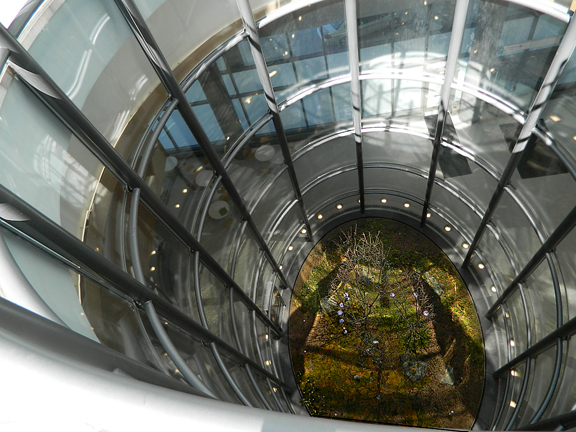 Gorgeous atrium allows the light to come into the different floors of the tower. 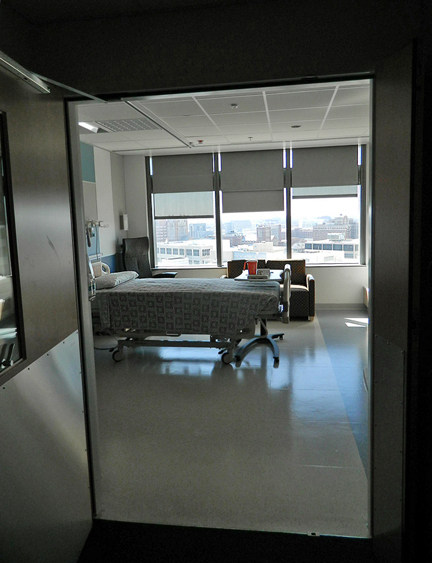 The unique butterfly shaped design allows every patient room to have a window and lots of light. The building also has beautiful outdoor terraces, quiet open areas and spaces for children. 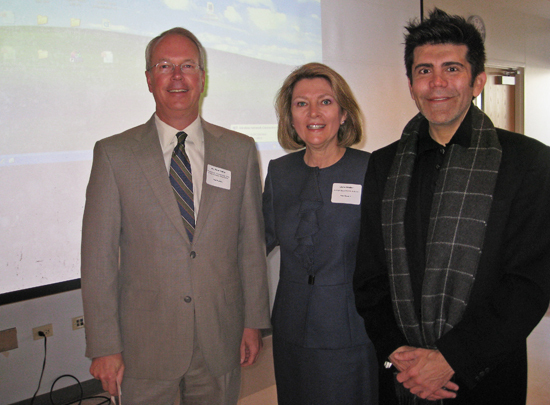 This entry was posted in Fulbright and tagged Annabelle Volgman, Architectural Tour, Chicago, Chicago Chapter of the Fulbright Association, consul generals, Elio Leturia, Fulbright, fulbright association, fulbright students, Linda Gruber, Lynne T. Braun, Peter W. Butler, Rush Hospital, rush tower, Susanna Chubinskaya. Bookmark the permalink.